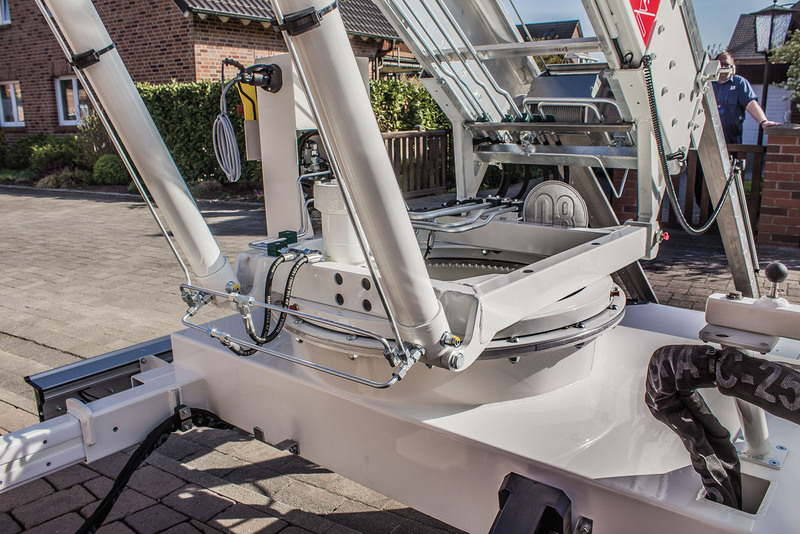 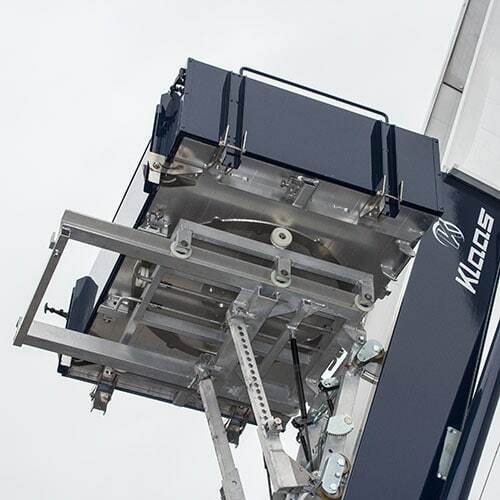 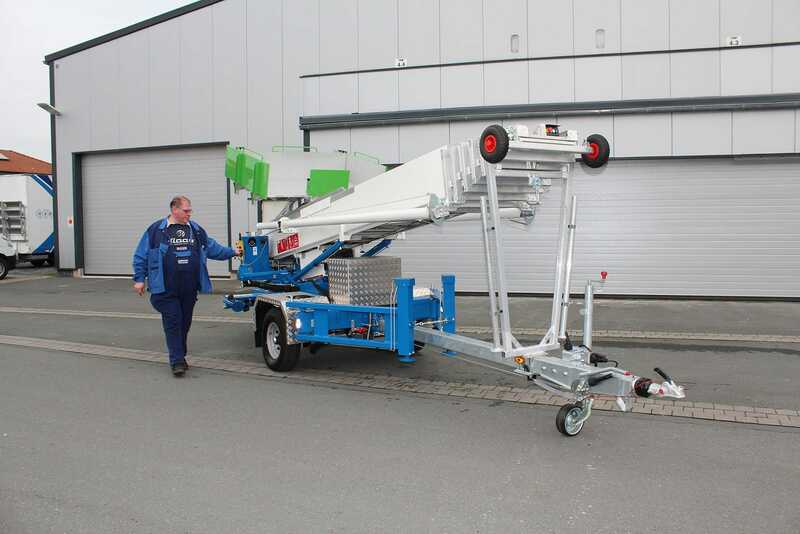 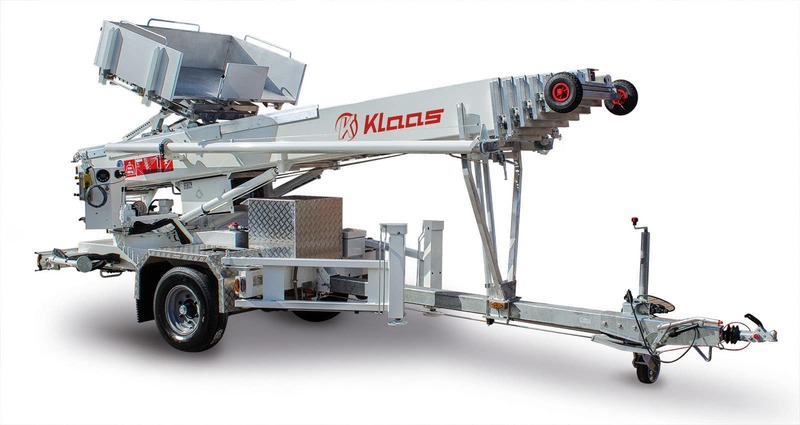 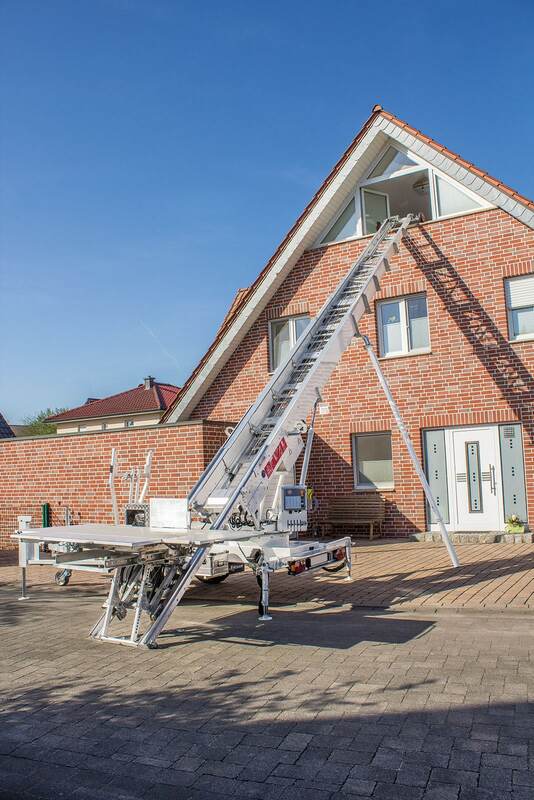 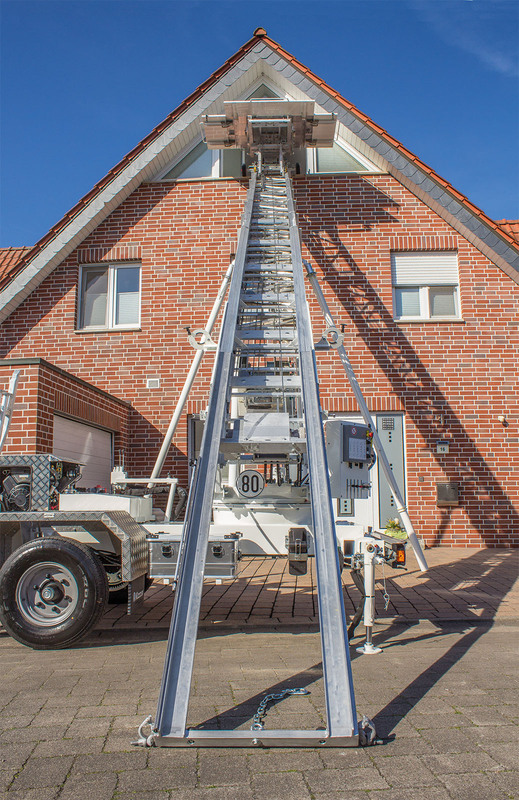 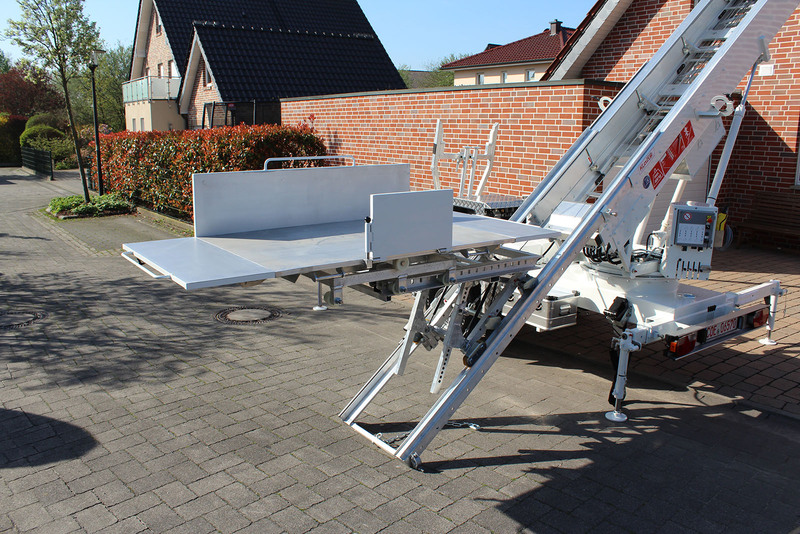 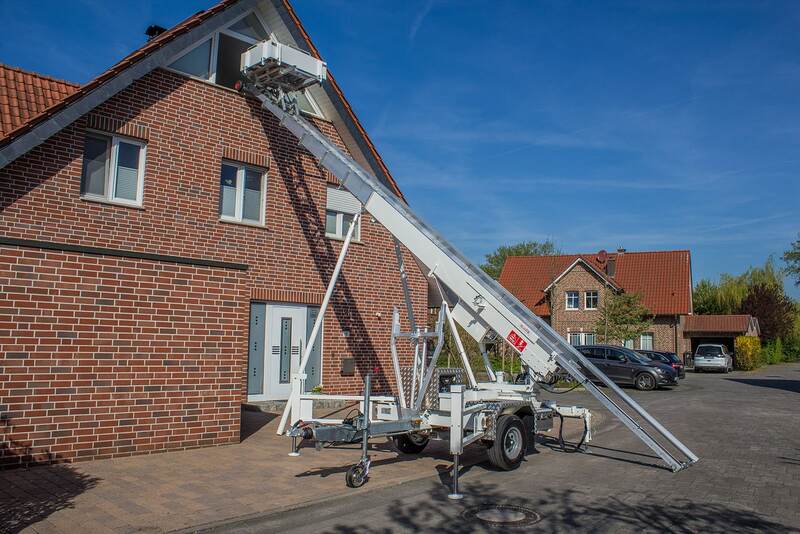 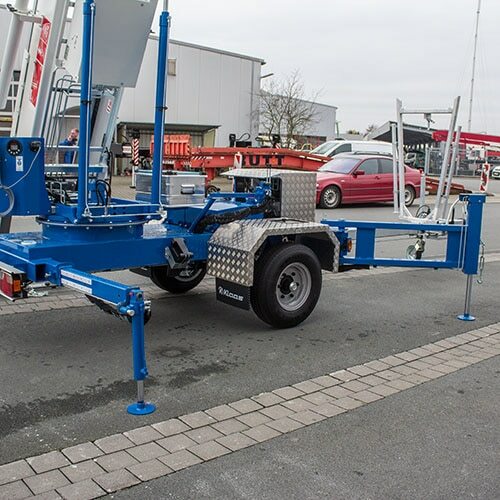 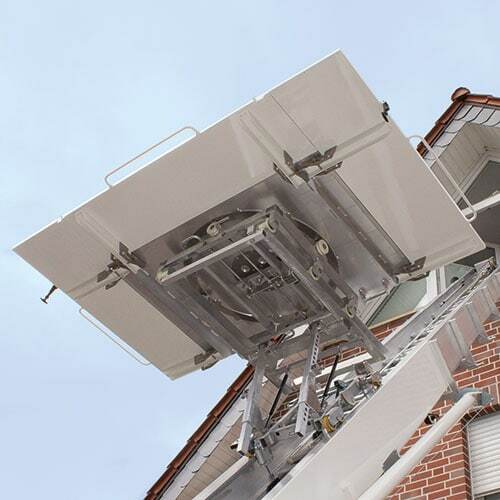 Klaas furniture lifts from the Topworker series combine the benefits of lightweight and space-saving trailers with the enormous extension lengths of high-performance appliances. 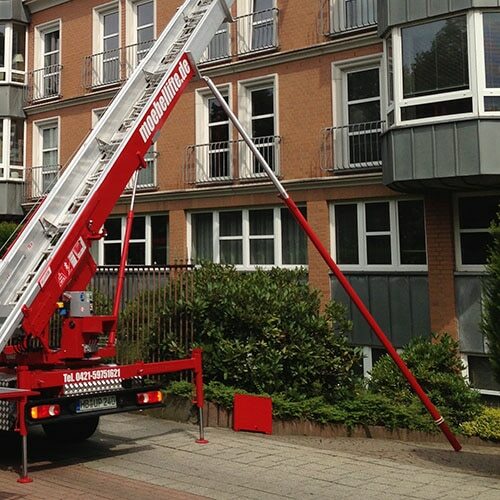 The largest Topworker with an extension length of 37 m thus manages to reach as far as the 11th floor of high buildings. 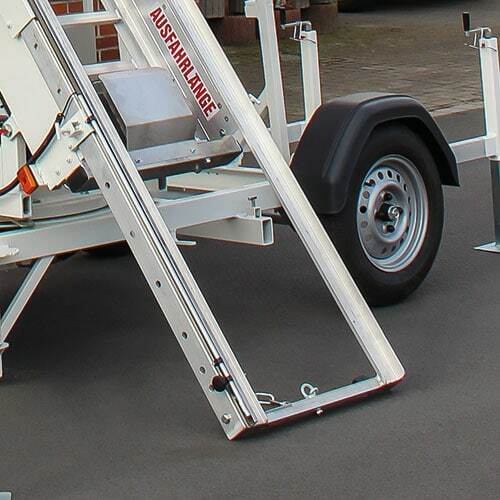 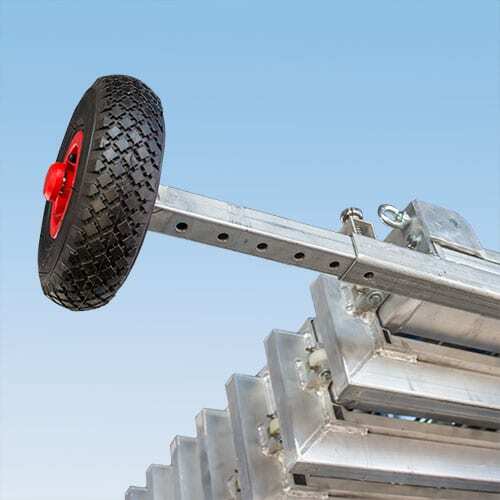 The long drawbar, which can be pushed in when parking space is tight, provides a high level of trailer diving comfort. 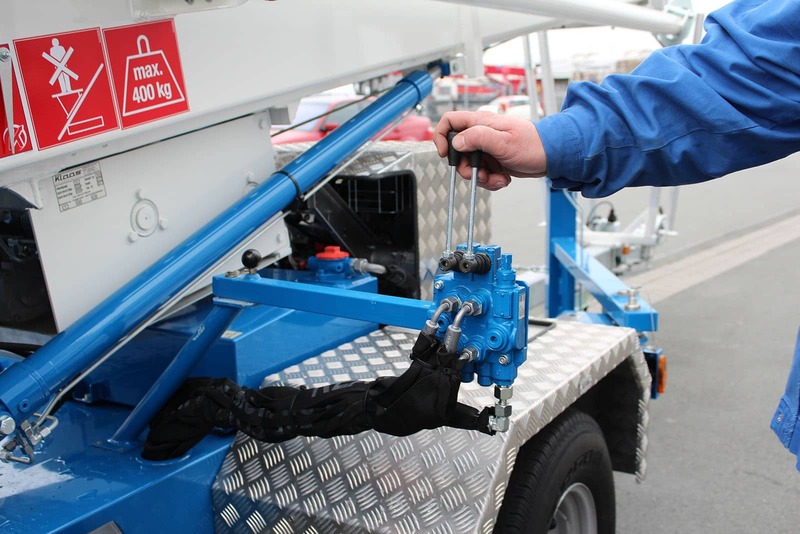 Thanks to the standard manoeuvring aid, the operation site can be effortlessly reached. 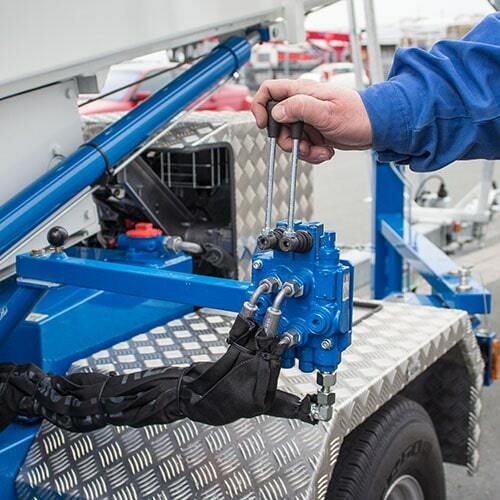 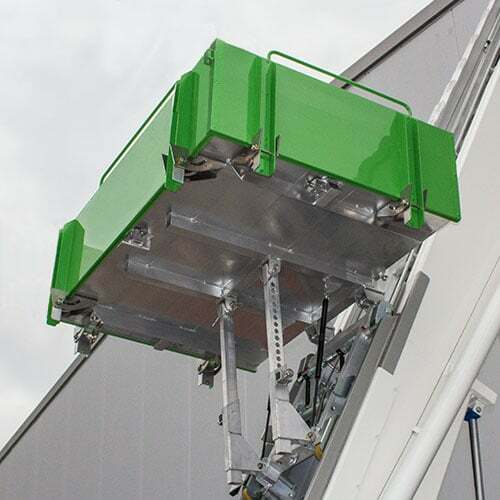 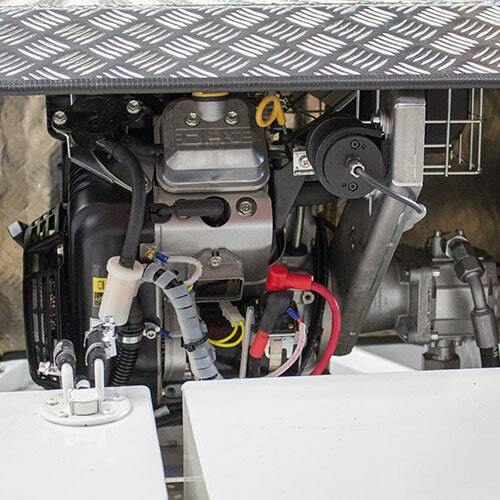 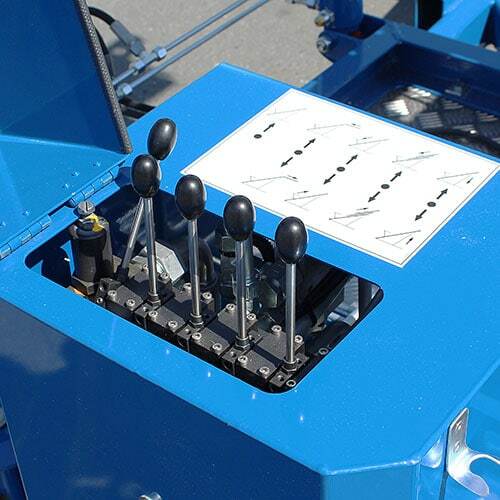 Once there, four hydraulic supports enable the lift to be quickly set up and adjusted. 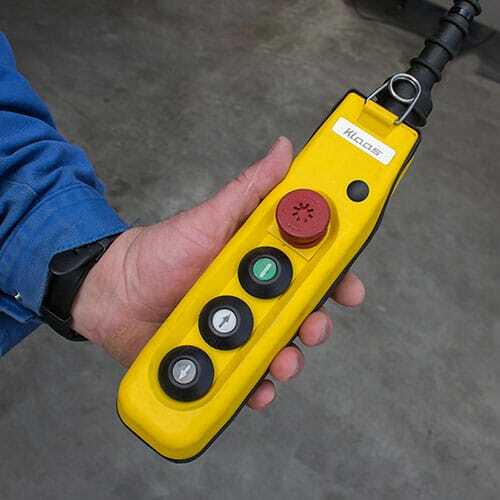 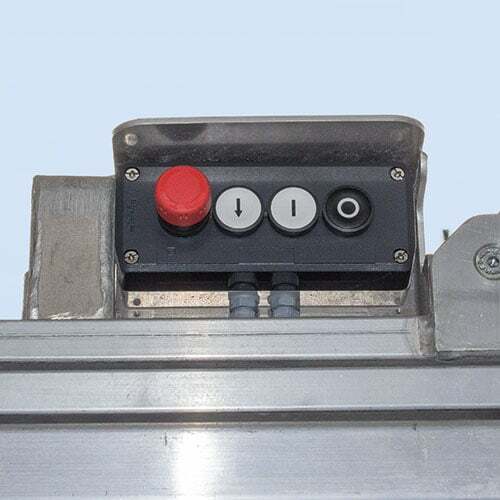 Two lifting cylinders straighten the solid rail package, which can easily be put into the required position with the help of the hydraulic rotary turret. 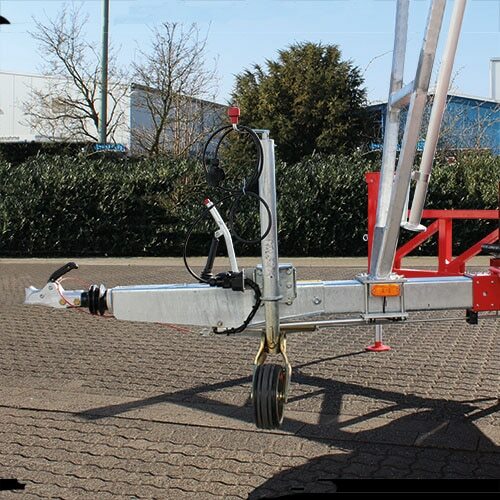 Two rail ropes provide extra safety when extending the rails, whilst internal and external guide rollers ensure that the rails do not tilt.